A fast food restaurant based in Denver, Colorado; Quiznos specializes in toasted submarine sandwiches, offering 23 original sub sandwiches that can be tailor suited to one’s preference. The restaurant boast of its method of toasting that makes its bread taste even better and releases the flavours in meat and cheese. Other offerings in its menu include salads, soups, and desserts. The Colorado restaurant had its humble beginning as a little sub shop some 30 years ago. It was founded by Jimmy Lambatosand sold to Rick and Richard Schaden, it has since then expanded and by the end of 2013, it already had about 1,500 locations in different states and about 600 locations internationally. It is also considered as one of the largest submarine sandwich chain in North America. If you’re planning for an event or gathering you might want to check Quiznos catering services that serve both small and big groups. Quiznosis known for the superb taste and quality of the food they serve which they achieve through their manner of toasting. Their catering menu comes in box lunches and trays. Their sub box includes sub, chips and a chocolate chip cookie, and there is an optionto have either a classic sub or chicken sub. The trays also include either a classic sub or chicken sub and comes in a regular tray which serves up to 5 persons and the large tray which serves up to 8 persons. Plates, napkins and pepper bar come with every tray order. Assorted chips and cookies as well as bottled beverages are also available as side orders. You can also choose to have a customize set of menu, just talk to the manager on duty for the details. Quiznos provides different ways of booking their catering services. You can visit one of their stores and talk to the manager on duty about the details of your order. If you don’t have the time to personally come to the store, you can place your order through phone call or online. An easy ordering checklist is provided by Quiznos. View or download their catering menu at their website. Enter your zip code at the store locator page to find the nearest Quiznos branch near you. Choose your choices from the menu and determine the number of persons to be served. Call the nearest Quiznos branch near you to finalize your order. If the branch permits you can also choose to conveniently submit your order online. 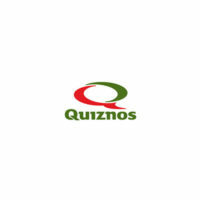 Quiznos accepts bulk orders given a notice of 24 hours or less for smaller orders. The prices of Quiznos catering services provide value for your money.They have a wide range of selections and healthy servings of food which is very apparent with the serving of fresh vegetables on the sandwiches and salads. Quiznos does not compromise quality and ensures that fresh meats, vegetables and all-natural cheeses are used for the sandwiches and other dishes that you order. It is the ideal catering partner for your events and gatherings where you can be sure to have delicious, healthy food served to your guests at an affordable price with less stress and hassle on your part.